Ok, first off I have to thank you for all the amazing response to my reader survey I posted about yesterday. Holy smokes, I got way more feedback than I ever imagined. I can’t wait to sit down this weekend and go through each and every one. Thank you, thank you, thank you. You guys are seriously the BEST. I wish I could give each of you a big ol’ squeeze. Or high five if hugs are too much for you. Either way, I sure do appreciate it. All righty, let’s move on to today’s Friday Favorites because I have a really fun one in store. 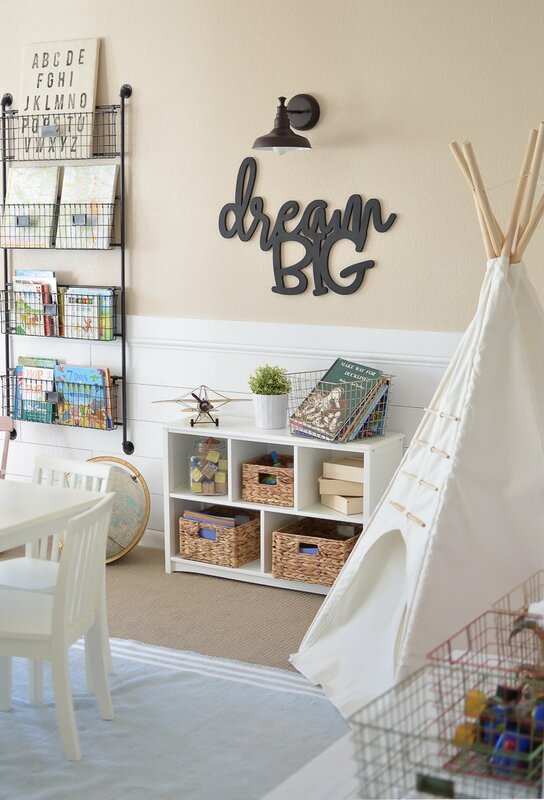 Have you guys seen those amazing wood cutouts floating around in the farmhouse decor world lately? I’ve been drooling over them for months now and I finally got a few from Feather and Birch. 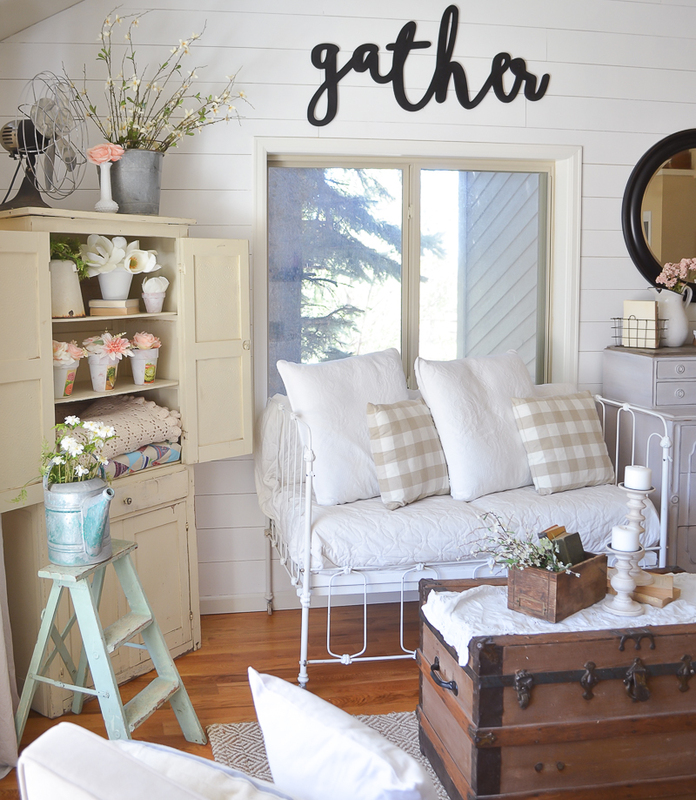 I’m so excited to show you those, as well as some amazing vintage inspired garden ideas I know you will love! OMG, right? Seriously, I am absolutely obsessed with this gather cutout. I wanted it to be big, so I got the 44″ size and I’m so happy I did. It’s the first thing you notice when you walk in our front room and I looooooove it. 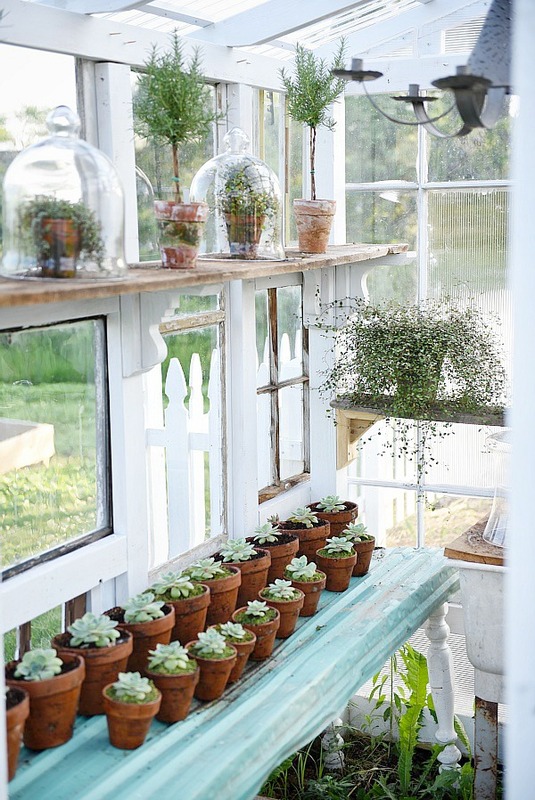 Now tell me, how insanely cute is this DIY window greenhouse from Liz Marie Blog? Seriously, she made this using old windows! Coolest. Project. EVER. And look how beautiful it is inside. I could spend all day piddling in there. 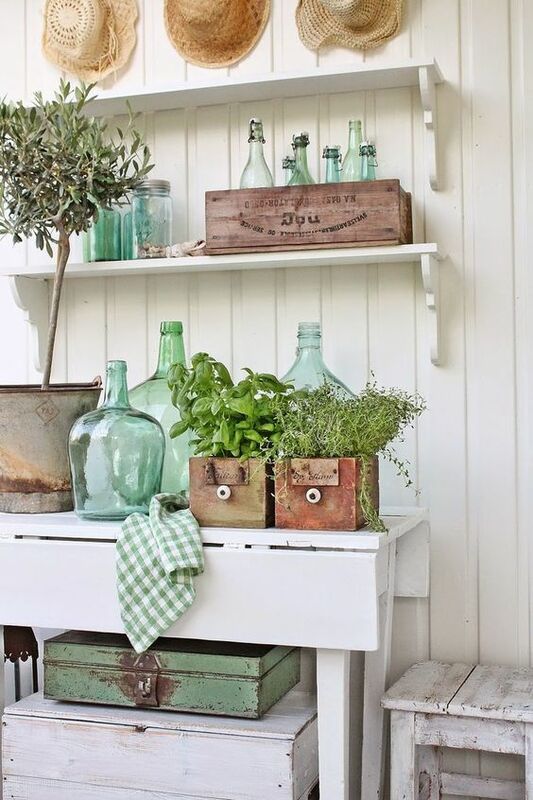 I LOVE this idea of planting herbs in old drawers. So darn creative! I’m definitely trying this one. And last but not least, check out this gorgeous vintage potting bench from Faded Charm. 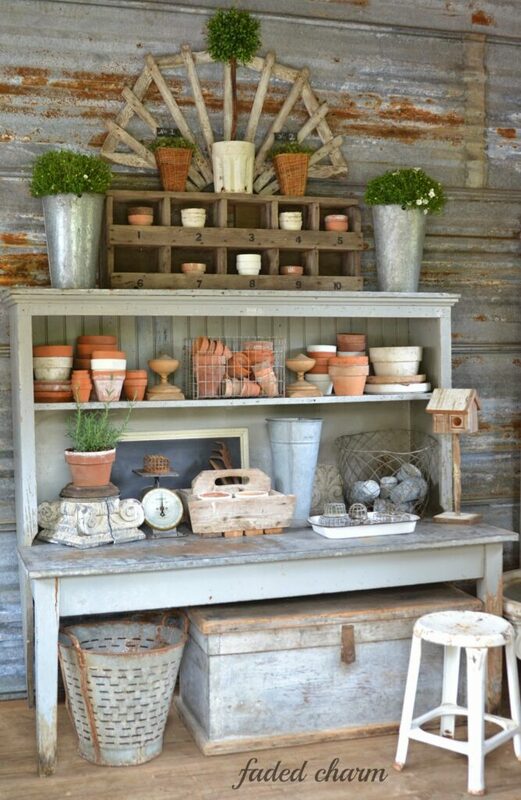 Not only do I love the old hutch, the white stool, and chippy table, but look at those old pots stacked up and all the other vintage goodies on the shelves. I need to recreate this on my back porch immediately. I could seriously go on and on with the garden inspiration today, but I will stop here. Head over to my GARDEN board on Pinterest if you want to see more of my finds. I’ve been pinning like crazy lately! Well that does it for my Friday Favorites guys. It was a little random today, combining my love of wooden cutouts with vintage garden inspiration, but that’s just how it shakes out this week. I hope you enjoyed it! I’ll see you back here on Monday. 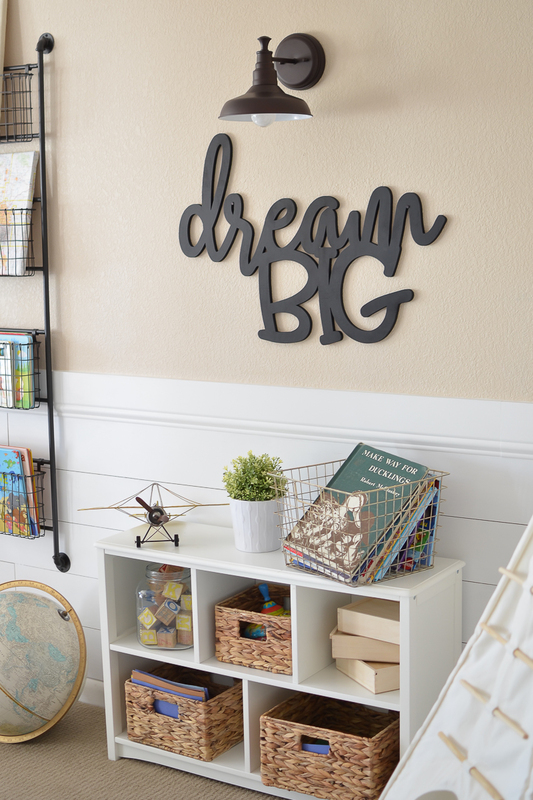 I have a really fun and easy DIY project planned for next week, along with a few other posts I know you’re going to love. Isn’t that amazing Tiffany?! 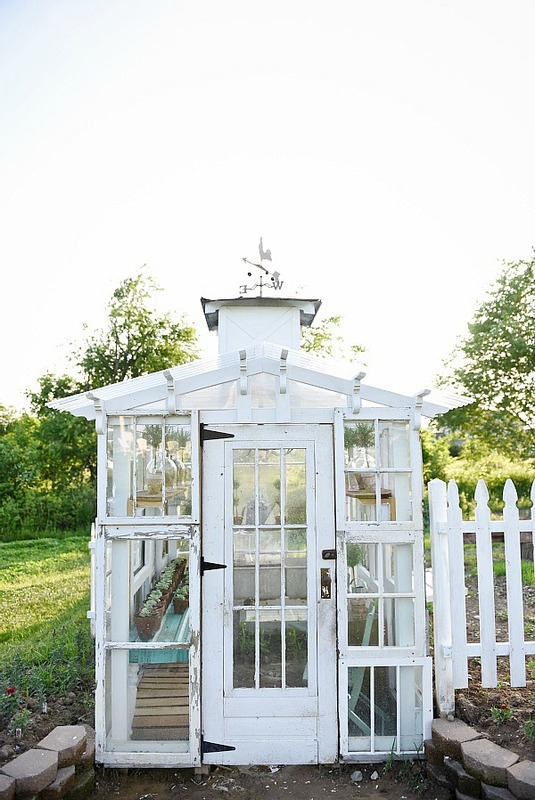 I wish I could make one of those window greenhouses for our backyard too. 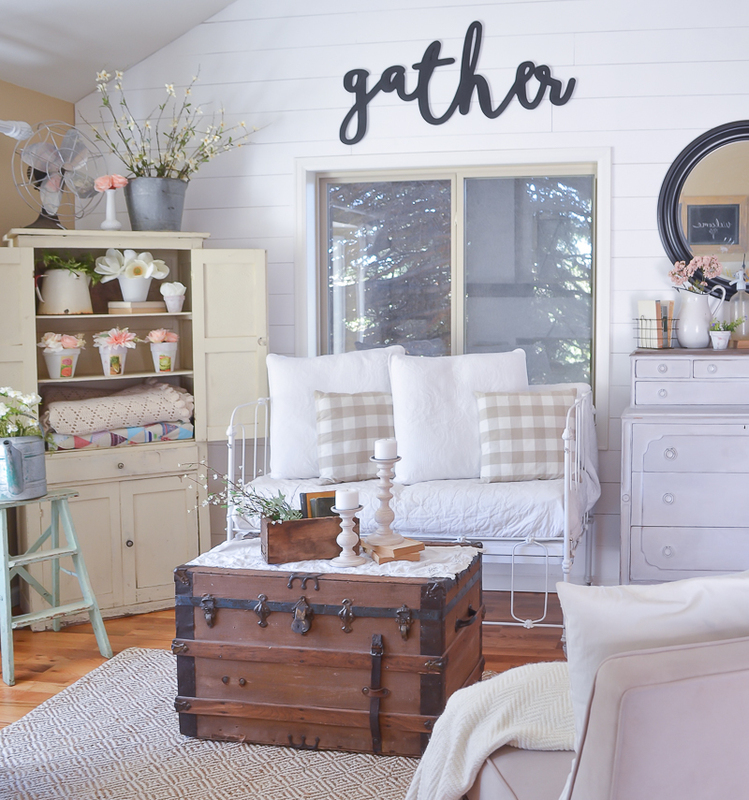 I really LOVE that potting bench and Gard n Shed!! I’ve been on Pinterest a lot lately looking for potting bench ideas lol!! I love it too Marlene. I’m going junkin’ this weekend and I’m on the look out for one just like this! The greenhouse by Liz Marie is just amazing! I am loving the cutouts….they look perfect! It’s definitely an amazing project, I want to recreate it myself. Thanks for dropping by today Nikki! Love those cutouts. They both look so cute where you put them in your house. That greenhouse is going to have me swooning for DAYS! I love Liz Marie’s blog. Right?! 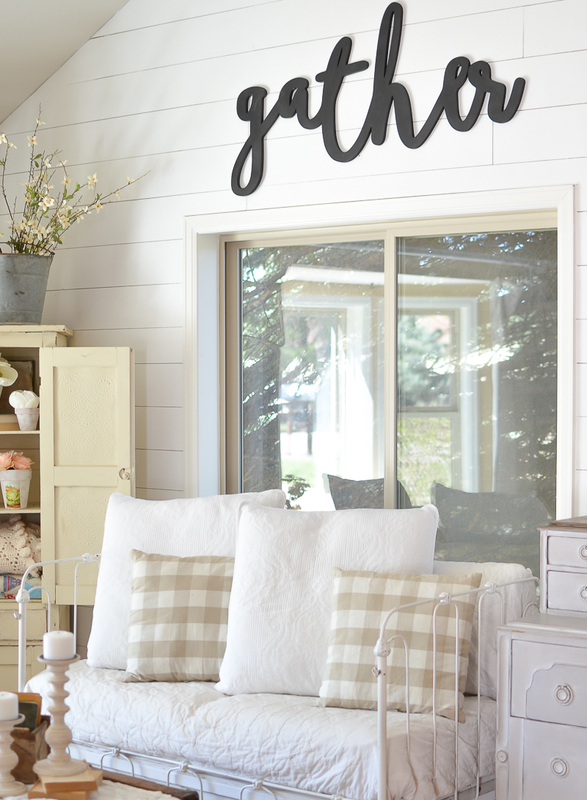 That greenhouse is amazing and so is her blog! Thanks for dropping by Sherri! All are great, but I’m in luv with that settee in the top pic. Is that made from an old crib? My “baby” is 32 yr old, and still have the bed (although not an iron bed). Have always wanted to make one like that. Those cutouts look amazing! I was wondering where you got the industrial bookshelf?